The story behind the stories: Jayneen Sanders - teaching to empower children and keep them safe! Educate2Empower Publishing is a Melbourne-based company, producing books and resources to empower children and help keep them safe! When she realised very little was actually being done, she decided to use her authoring and publishing skills to write resources to help parents, carergivers and teachers to broach the subject of self-protection and to encourage children to speak up. Jayneen feels passionately that we can do so much more to keep our children safe by teaching them age-appropriate and empowering prevention education. Starting out as a primary school teacher in rural Queensland in the 1980s, Jayneen was quickly identified as an advocate for improving the process of providing education. In just her second year she was asked to lecture to beginning teachers on creativity in teaching practice. After moving to Victoria and some teaching at inner-city schools, Jayneen became an educational editor for Longman Cheshire, and subsequently was employed by Macmillan as commissioning editor in their Primary School Division. In the early 1990s, Jayneen and her partner, Mark Sanders, moved to Japan where they worked as English teachers for over three and a half years. On returning to Australia in 1994, they established their own business, UpLoad Publishing (later adding the imprint Educate2Empower Publishing). Since then, Jayneen has spent her time in both the educational publishing sector and relief teaching in primary schools, as well as raising her three daughters in country Victoria. she was also one of three authors who created the Nelson Numeracy Assessment Kit (winner of Australian Publishing Association Primary Teaching and Learning Package 2005 and the joint overall winner of Australian Publishing Association Educational Title of the Year 2005). and is currently Lead Author (writing under the name of Jay Dale) for the Engage Literacy program published by Capstone Classroom, having written over 100 titles for that series. Why Should Some Secrets Never Be Kept? Years later, as her three daughters were attending primary school, Jayneen asked for ‘Body Safety’ to be introduced to the school curriculum, but her request was met with reservation and never progressed. Also at this time, Jayneen's neighbour confided that not only had she had been sexually abused by her father, but late in life she’d found out that both her son and her daughter had been sexually abused by her husband. To her it was crucial to educate children with age-appropriate Body Safety before the fact; before they could be snared in the perpetrator’s web. The experience shared by this neighbour spurred Jayneen on to use her authoring and teaching skills to write a book for children entitled 'Some Secrets Should Never Be Kept’. She hoped this book would make the introduction of body safety education easier for families and schools. Through her research in preparing for the book, Jayneen soon learnt that whilst prevention education is empowering and easy, after a child has been abused it is far more complex—so the earlier that children could receive and understand prevention education, the less likely they would be to experience long-term trauma. As a teacher, she knew that story would be the perfect medium to get a difficult message across to young children. She wrote 'Some Secrets Should Never Be Kept’ in a fairy tale setting so it would be timeless. The process of getting this important book out into the public was not easy. 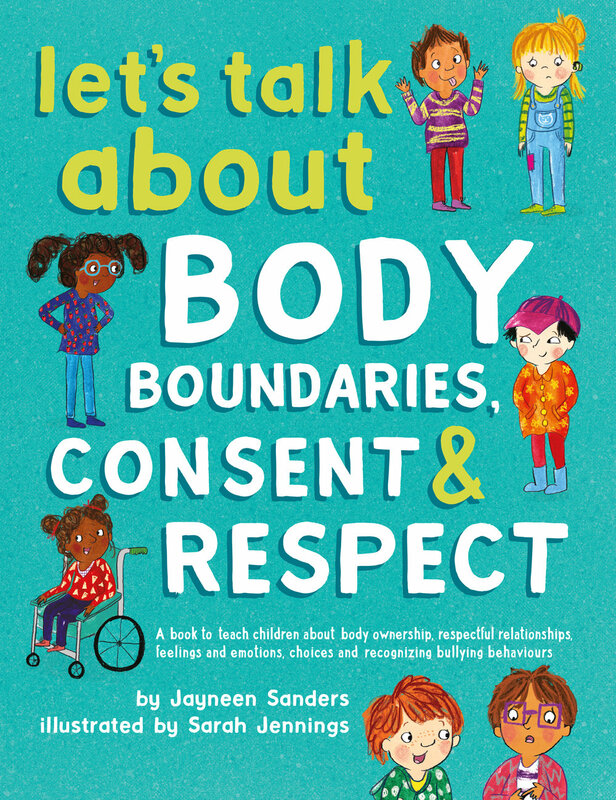 Just as she had met reservation from her local school council over teaching body safety, Jayneen also had a challenge securing a publisher for the book. Such a challenge, in fact, that she and her husband Mark decided to pool their knowledge from working in the publishing industry to publish the book themselves… and so Educate2Empower Publishing was established. A steep learning curve ensued. It is one thing to be involved in publishing, quite another to run the entire process from content research to first draft, to finding and securing editors/illustrators/designers/printers/distributors, deciding on everything from paper type, binding type, print colours, pricing, online purchase options, storage and shipping ...to finally have a quality product in hand that is aesthetically pleasing AND still meets the original aim of empowering children and educating them about how to recognise and deal with inappropriate touch! 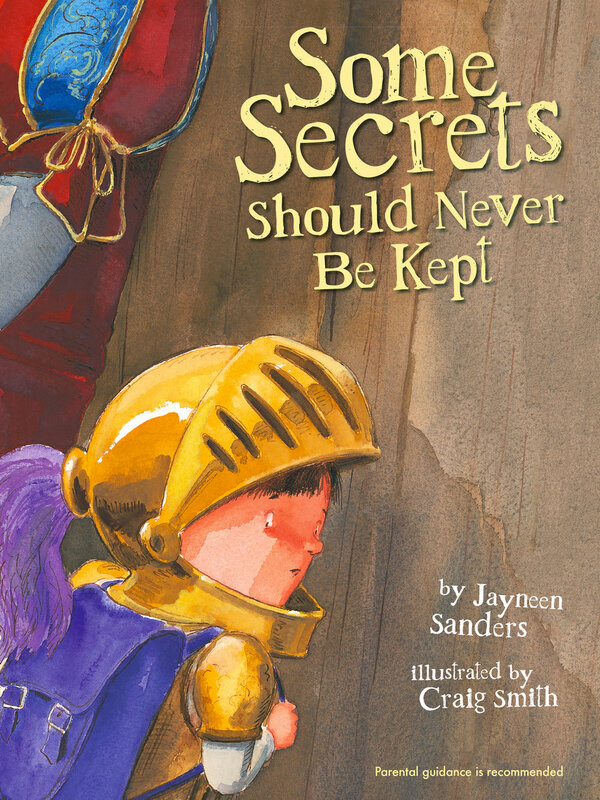 Jayneen is quietly proud of the success of 'Some Secrets Should Never Be Kept'. It has allowed teachers and parents a safe segue into Body Safety conversations that need to be had with children. Currently there are over 135,000 copies in print and the book is available in US, UK, Canada, with translated versions being distributed in China, Vietnam, Taiwan, Mexico and Korea. Jayneen has received many messages that this book is making a difference and that children have been empowered by the conversations this book instigates. She says that some children have even disclosed abuse because of this book and that means their abuse will, in all probability, stop. "Sadly many parents don’t even broach this subject with their kids because they honestly believe it will never happen to their child. Secrets are the currency the perpetrator deals in and they will do all they can to ensure the secret is kept. We need to educate our children to tell, from that first inappropriate touch, and we also need to educate our community to believe children." Educate2Empower Publishing was initially established to get ‘Some Secrets Should Never Be Kept’ out into the community, however Jayneen could see that still more needed to be done in this space to empower children. ‘My Body! 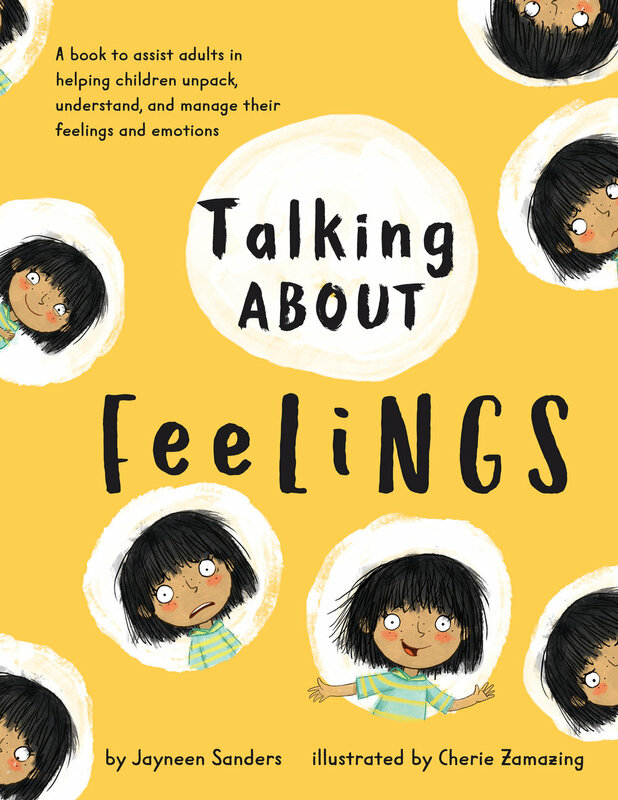 What I Say Goes!’ has reached best-seller status in Children’s Safety Books on Amazon several times since it’s release in 2016, and as well as writing a number of other children’s books (covering the topics of body safety, respect, consent and gender equality), which all contain a section of Discussion Questions at the back, Jayneen has also created posters, worksheets, teaching notes and lesson plans and has put together a Teacher’s Resource Kit for Body Safety and Respectful Relationships Education, which is available to purchase directly from the Educate2Empower Publishing website. 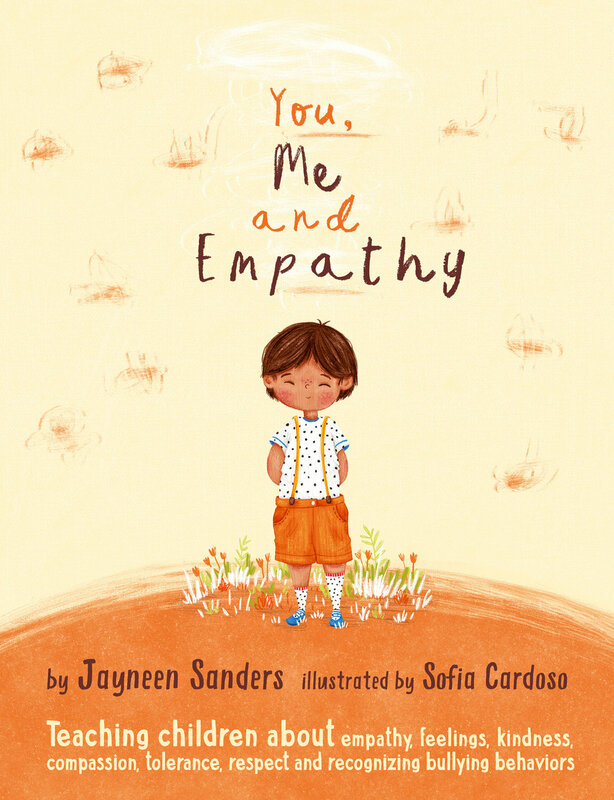 Recognising that empowering children and protecting them from abuse could also be enhanced through early education of gender equality and encouraging social and emotional intelligence, Jayneen has started writing books in these spaces too. So as well as addressing child abuse prevention, the collection of books may also help to counter domestic violence, bullying, racism, discrimination, and mental health issues - all very relevant within our current communities. Educate2Empower Publishing now offers specific book bundles to teach Body Safety & Consent, Gender Equality, or Social & Emotional Intelligence, as well as an overall bundle for Empowerment. We've gifted the rights to translate four of our books to ThinkEqual for their Social and Emotional Learning Curriculum to disrupt the cycle of violence and discrimination, starting with a pilot program in Sri Lanka and plans to follow with Botswana, Argentina and more. We've gifted rights to World Vision India to translate My Body! What I Say Goes! into 7 local languages to give out to families in a major national campaign to stamp out child sexual abuse. 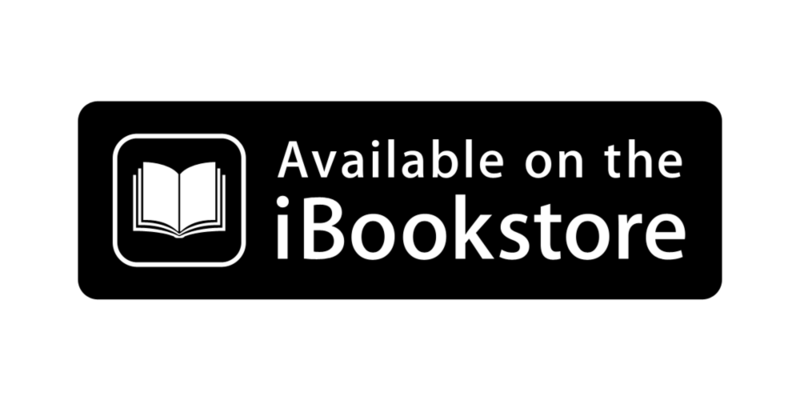 As of July 2018, over 150,000 copies have been distributed. A teacher training program in the Philippines is utilising the Body Safety and Respectful Relationships Teacher’s Resource Kits. With our permission, Penang State Government, Malaysia, has translated, reformatted and printed the information available in Jayneen’s blog articles and free educational posters into a 50 page booklet to give out to families, schools and childcare centres. As of April 2018, 10,000 copies of the English version have been distributed. Various individuals around the world (Australia, US, UK, Africa, Middle East, Hong Kong, & China) are using the Teacher’s Resource Kit to educate their local children and communities in Body Safety and Respectful Relationships. Rights to translate and distribute Educate2Empower’s books have also been taken up in China, Taiwan, Turkey, Mexico, Sri Lanka, India, Vietnam, Argentina, Romania, Korea and Italy. Jayneen's work under the imprint Educate2Empower Publishing is ongoing, and she continues to be a passionate advocate for Body Safety Education to be taught in our communities. The empowerment and safety of children is what drives Jayneen to continue to work diligently in this space. She would love to see ALL schools in Australia (and around the world) introduce Body Safety Education as part of their curriculum. 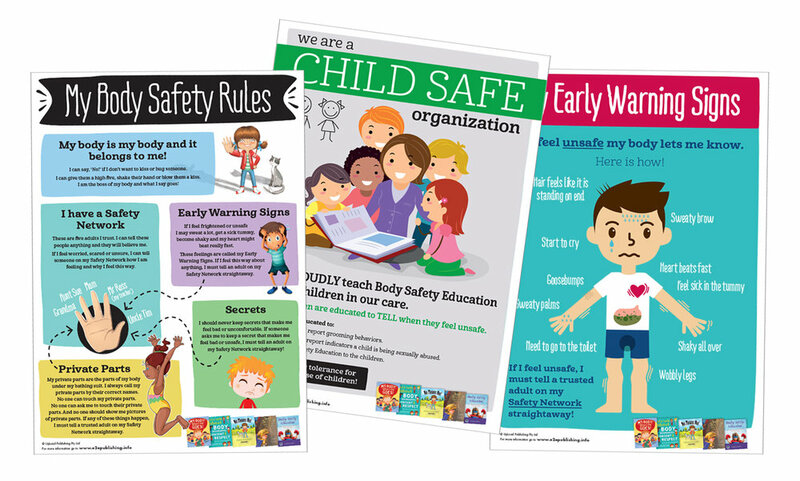 Would you like some resources to help your family, school or community with teaching Body Safety and empowering children? Check out our Posters Collection - FREE to download, print & display or share online.